On October 20-21, the Georgia Drone Summit went above and beyond, bringing more than 570 industry professionals, drone enthusiasts and NMI students to a new level of drone knowledge. From entertainment to ethics, the Summit covered it all. Speakers and panelists took the stage sharing valuable insights about the future of drones and their innovative applications. Throughout the day, industry trends were discussed, exciting uses were explored, and compelling work was shared. 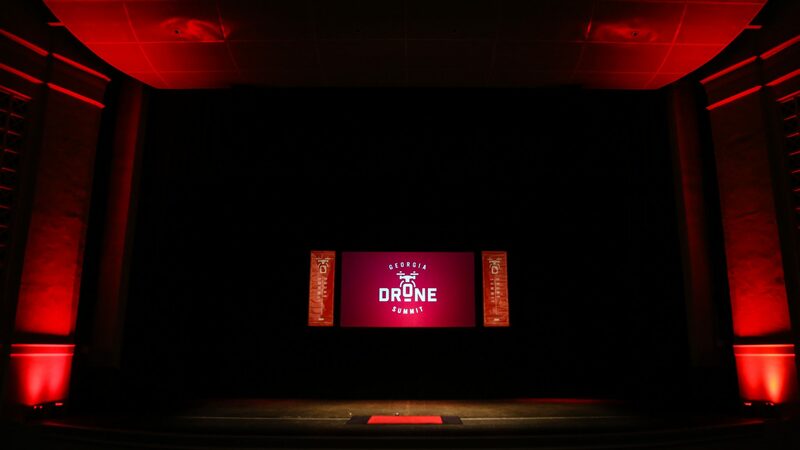 Meanwhile, with a network of drone specialists all under one roof, attendees took advantage, collaborating and discussing the high-flying technology with experienced professionals. Whether you want to catch what you missed or relive the experience, be on the lookout for event photos and videos to go live on Georgia Drone Summit social media channels in the coming weeks. Stay tuned!